Loading activities: Vitamins, plant extract, marine water, vegatable oil, frangrance, synthetic ingredients etc. Menthol pellets are microcapsules which contain 30%,40% or 50% pure menthol.They are used in teeth pastes, shower gels or food products like chewing gum to give excellent fresh feeling. Menthol pellets are available in size: 600-850μm, 850-102μm,1200-1700μm and three colors: white, blue and green.Menthal is an easily sublime material with 42℃ melt point. 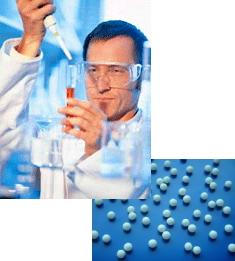 However, Menthol Pellets can seal the menthol very well in the Microcapsules and keep perfect sphere shape in the water-based personal care formulation. They are soft and very easy to be dispersed by a gentle force. Waxlets are hard, smooth, semitransparent white, free-flowing microcrystalline wax spheres, available particle size are 335-710μm and 710-1000μm. Waxlets provide gentle and effective exfoliation to the skin and stimulate circulation. Unlike waxlets. Wax-sugarlets are not made by pure wax. Wax-sugarlets have a structure with a sugarsphere cores which are coated by certain thickness microcrystalline wax. They also can provide gentle and effective exfoliation to the skin like waxlets, and they can be made to customer desired colors and sizes. Glasslets are made by 100% glass and used as scrubbing agents and exfoliations. They are available in different colors and three sizes:200-400μm,400-600μm,600-800μm.They are ideal for body washes and cleanser products.Glasslets are synthetic products which provided consistent quality and reliability.They are inherently stable and do not dissolve in the formulation.Moreover, they will not promote microbial growth. Bath caviar and bath salt are made by urea or sea salt with customer designed color perfumes, glitters or activity ingredients.They also can combine with functional ingredients such as vitamins,herb extract, etc.Add a handful Bath caviar and bath salt to your running bath water and let dissolve for a perfect therapeutic relax soak. Aroma beads are unscented white or colored solid beads principally made by diatomite and available in three sizes samll(2-3mm),middle(3-4mm) and large(4-6mm).They can absorb up 60%(w/w) of their weight in fragrance essential oils and still keep free-flowing ability. They diffuse the fragrance slowly and last up few months, depending on the fragrance oil used. They are perfect for using in potpourri, sachets for cars, closets, drawers, luggage,etc. and as an altenative to candles without flame danger.They look gorgeous in organza baggies or in pretty glass jar as dry potpourri. Water dissolvable spheres containes sugar,dextrin,binder tec excipients that can be absolutely dissolved in water.They are white and translucent particles. All contents comply with CP,USP,Ph.Eur. Sugar spheres contain not less than 62.5 persent and not more than 91.5 percent of sucrose(C12H22O11) calculated on the dried basis, the remainder consisting chiefly of starch.They consist of approximately spherical particles of a labeled nominal size range. Corn starch spheres contain more than 95%(w/w) corn starch. The remainder consist chiefly of HPMC. We can offer 30-80% Vitamin C pellets for pharmaceutical, supplement, food applications. Vitamin C pellets are film coated and filled in capsules to improve stability and sustained release in human body. Vitamin C crystals are water film coated to improve stability to be used as food ingredients.